Explore concepts and methods in the verification of ‘facts’. While the need and methods to verify ‘facts’ did not emerge with the advent of the Internet, the amount of readily accessible information has vastly multiplied. A further issue is whether facts constitute knowledge or if more is required to be sure of something. With many sources, multiple perspectives, and, in some cases, significant contestation, ‘facts’ are not always so simple to ascertain. Further, not everything is documented digitally or at all. These concerns, of course, are central to philosophy and epistemology, subjects well beyond this resource. Here we provide a few sources that can help educators and students work through some of these issues. Have the students explore these concepts by looking up and discussing the following entries either in the Oxford Dictionary of Social Science, Wikipedia or other online sources. What other concepts emerge as salient in this discussion? All links above, except ‘knowledge’, are from the Dictionary of the Social Sciences, edited by Craig J Calhoun. New York: Oxford University Press, 2002. Online Version, 2012. Subscription may be necessary to access. “Knowledge” link is from Wikipedia. Long held to be the largest slum in East Africa, Kibera, a community centrally located in Nairobi has attracted much attention from the international community. 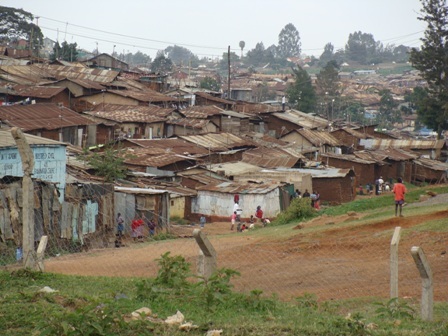 Many estimated the population to be from 1 to 1.5 million in Kibera. Yet the 2009 Kenyan census counted only 170,000 residents which matched the result of other rigorous efforts to measure the population, including the Map Kibera Project and a GIS project by the French Institute for Research in Africa (IFRA) Nairobi and Keyobs, a Belgian company (Desgroppes and Taupin, 2011). Activities: Read the materials below. Do some searches on the population size of Kibera to see what various sites report. Discuss why widely used estimates have been so wrong. What is the value of getting the numbers right? Karanja, Muchiri. 2010. “Myth Shattered: Kibera Numbers Fail to Add Up.” Daily Nation, September 3, sec. News. http://www.nation.co.ke/News/Kibera-numbers-fail-to-add-up/-/1056/1003404/-/2lmrpq/-/index.html. Ekdale, Brian. “What’s in a Name (and a Number)?” Thoughts on Global Media and Culture…and a Few Random Things…, September 5, 2010. http://www.brianekdale.com/?p=107. Robbins, Martin. “The Missing Millions of Kibera.” The Guardian, August 1, 2012, sec. Science. http://www.guardian.co.uk/science/the-lay-scientist/2012/aug/01/africa-propaganda-kibera. Doyne, Shannon, and Holly Epstein Ojalvo. 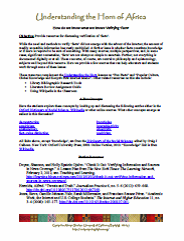 “Check It Out: Verifying Information and Sources in News Coverage.” A Lesson Plan from The New York Times: The Learning Network, February 2, 2012, sec. Teaching and Learning. http://learning.blogs.nytimes.com/2012/02/02/check-it-out-verifying-information-and-sources-in-news-coverage/. Hermida, Alfred. “Tweets and Truth.” Journalism Practice 6, no. 5–6 (2012): 659–668. http://dx.doi.org/10.1080/17512786.2012.667269. Jones, Steve, Camille Johnson-Yale, Sarah Millermaier, and Francisco Seoane Pérez. “Academic Work, the Internet and U.S. College Students.” The Internet and Higher Education 11, no. 3–4 (2008): 165–177. http://dx.doi.org/10.1016/j.iheduc.2008.07.001. Metzger, Miriam J, Andrew J Flanagin, and Lara Zwarun. “College Student Web Use, Perceptions of Information Credibility, and Verification Behavior.” Computers & Education 41, no. 3 (November 2003): 271–290. http://dx.doi.org/10.1016/S0360-1315(03)00049-6. Metzger, Miriam J. “Making Sense of Credibility on the Web: Models for Evaluating Online Information and Recommendations for Future Research.” Journal of the American Society for Information Science and Technology 58, no. 13 (2007): 2078–2091. http://dx.doi.org/10.1002/asi.20672. Note: You may need to access the articles through interlibrary loan if your library does not subscribe to the journals or provide electronic access. Check with your local library regarding the service. The US Library of Congress has an interlibrary loan service, as does the UC Berkeley Library. For a broader overview of interlibrary loan processes, see the Wikipedia article, “Interlibrary Loan.” 2013. Wikipedia, the Free Encyclopedia. http://en.wikipedia.org/w/index.php?title=Interlibrary_loan&oldid=563014709.